The above cartoon by Mac is indicative of what some people have dubbed “the fascistic turn”. 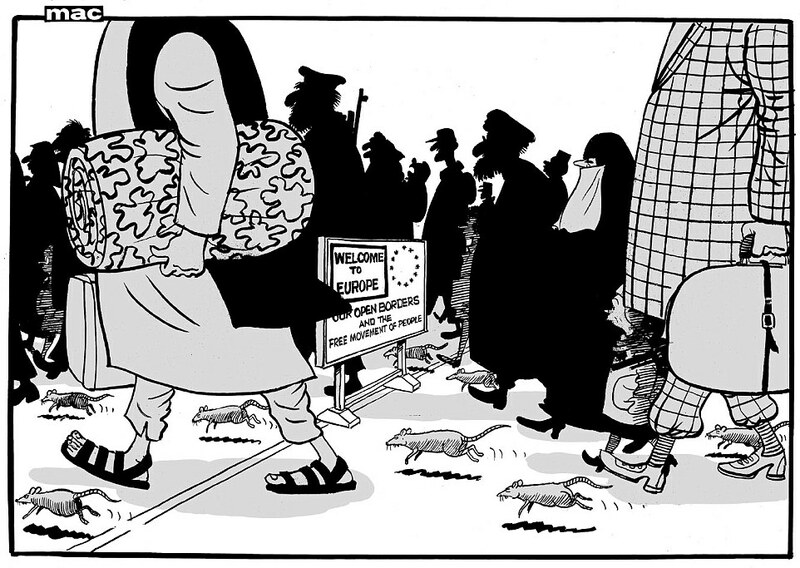 Published in The Daily Mail–a newspaper with historical sympathies for National Socialism and renowned for drip feeding its readers low level doses of racism and fear-mongering–the image clearly likens Muslim refugees to rats and harkens back to the anti-Jewish propaganda that was the cornerstone of Hitler’s political campaign. That campaign, of course, rested on a rhetoric of unity through hostility, or even unity as hostility, that enabled a German populace, defeated, weakened and made vulnerable by the Treaty of Versailles, feel incredibly strong. Unfortunately, despite the old adage that love binds, it is hate that binds even more. The word fascist (fascista) has its roots in the Italian “fascio” meaning bundle, bunch or group, with the political version manifesting in a form of tribal or sectarian association. The modern form of fascism as both a political identity and a method was also based on violence as a legitimate means of one group overcoming another, which is why it is so closely tied to totalitarianism and so antithetical to democracy. The current fascistic turn, then, has its roots in the Bush Doctrine rhetoric of “with us or against us” where the entire planet was split into groups (fasci) of Good versus Evil, and violence, virtually unconstrained by any democratic process was given full rein. It is rather disturbing, then, that with Donald Trump as the front-runner for the Republican candidate for US President the Bush regime seems actually quite liberal. While the Bush Doctrine was certainly underpinned by a racist and neo-colonial world view it still paid lip service to the idea that the two fasci weren’t racially closed. Being Middle Eastern, Muslim or brown made you suspicious–and you had to apologise for what other Middle Eastern, Muslim or brown people did–but in principle it was still accepted that you could be good; you could be “with us”. Before we get to the the full flowering of the current fascistic turn in the political hyerbole and self-promoting nonsense of Donald Trump it is important to say something about another event that has prepared society for it, namely the Financial Crisis of 2008 and the politics of spite that was activated as a response to it (which I wrote about here: https://discrepancie.wordpress.com/2015/09/09/on-click-bait-trolls-and-the-politics-of-spite/). We know that the Crisis was not only the greatest financial meltdown in history precipitated by a blind and delusional faith in rational markets as well as a sustained period of dogmatic deregulation, but it was also one of the greatest sleights of hand in history where a crisis created by the rich and their political puppets was turned into a supposedly legitimate attack on the welfare state and public services because, having given away all our money to a fascio of reckless and greedy bankers, there was nothing left for social programmes. To secure this sleight of hand the right-wing media quickly stepped in to attack those on benefits or those working as public servants, splitting society into the fasci of hard-working people versus lazy scroungers. All of a sudden, then, the crisis was all the fault of the poor. The racial dimension to this came via a discourse of anti-immigration. Rather than our economic insecurity being created by the incompetence and greed of the new aristocracy that governs us it was the fault of the poor people “flooding in” from abroad. These “economic migrants” in search of an “state handouts” were the real problem. 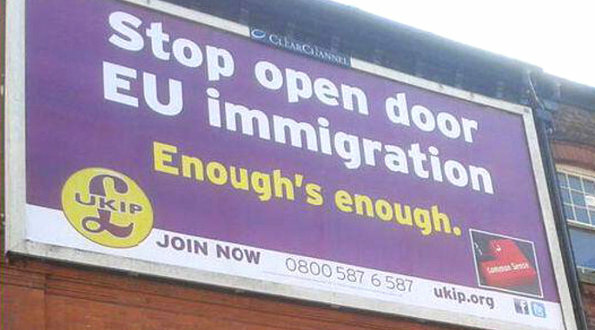 Leading the way in the UK was a racist tabloid press that gleefully echoed the dim prejudice of the Poundland fascists also known as the UK Independence Party (UKIP). This means that we have had a racially-tinged politics of prejudice as the central theme in social debate for the last fourteen years. That prejudice has now been ratcheted up into full-blown hatred since the events in Paris on 13th November this year (my thoughts on that are in the post below: https://discrepancie.wordpress.com/2015/11/16/the-monsters-of-paris-2/). In the US, while the Republican Party has always loved neo-colonial violence dressed up as the nation’s “manifest destiny”, at home it has always ascribed to a political (not social) liberalism that supported the idea of multi-culturalism. 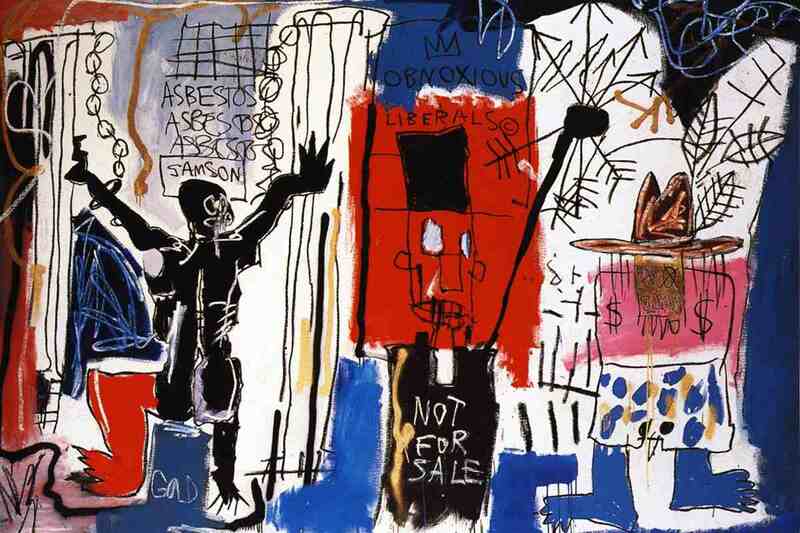 However, as the cuts and the recession that followed the Financial Crisis started to bite deep into the social fabric of America the layers of racism that lay beneath the surface were readily exposed. Despite the generosity, openness and plurality that marks the best of American culture it remains a culture born of genocide, and established partly on the back of slavery. This legacy can be seen in the fact that America still needs to tell itself that #BlackLivesMatter, or in the significant threat posed to African-Americans by white supremacists. Indeed, the fact that these white guys are described as “alienated loners”, while only the brown or Muslim guys are terrorists speaks volumes for the persistence and widespread acceptance of white supremacy. In the UK, this racism also finds an easy foothold because the history of the British Empire is still largely presented as a period in which backward peoples and primitive outposts around the planet benefited from British civility and benevolence. So, as a consequence of this slow and deliberate readying of the populace for a properly fascistic turn it becomes perfectly acceptable for a presidential candidate to call Mexicans rapists, mock the disabled, and post completely made up statistics from a made up Bureau put into circulation by people who are self-proclaimed neo-Nazis. He can call for the use of the torture technique known as waterboarding unconcerned about ethics or efficacy because “Even if it doesn’t work, they deserve it anyway”. He can even go so far as to advocate for a database for Muslim-Americans and call for them to wear or carry some kind of identifying mark or card, but all of this hate is really just a smokescreen. Just like the Financial Crisis of 2008 a major contribution to the Paris attack was the arrogant and inept foreign policy of our ruling elite. In order to prevent any critical engagement with their incompetence and to deflect any challenge to their assumed legitimacy, they want us to blame each other. They want the haves to blame the have-nots; they want whites to blame blacks; they want Christians to blame Muslims; they want citizens to blame refugees; they want workers to blame the unemployed. This politics of hate, however, can only have a negative outcome. Nothing good will come from this fascistic turn. So we have to resist it at every opportunity. Unfortunately, we are all susceptible to hate’s allure because it is especially powerful at times of insecurity. Having fueled the flames of terror and having stripped away the social protections provided by the state, our lives appear to be increasingly precarious. At such times the truly civilizing effects of love and empathy are easily portrayed as idealistic and unrealistic. Love is difficult and risky because in love we are dependent upon an other person to love us back, to return us affirmatively to ourselves. By contrast, through hate we can experience the full expansion of ourselves without risk because hate does not need to be returned. In fact hate works best when the focus of our malice and hostility is too weak to return it. Such weakness only adds to our sense of self-expansion and fulfillment. Where love utterly undoes us, hate gives us the most immediate and gratifying experience of strength. And if we surround ourselves with other haters that feeling is compounded until it becomes so desirable as to justify the removal of any barrier to its attainment. The other major problem with this fascistic turn is that the primitive emotions that are being released are very hard to put back in the box. The aristocracy are confident they can manage the chaos that enables them to amass vast amounts of wealth without interference. They are happy the twin discourses of security and austerity can veil the dismantling of any democratic accountability or contestation of their power, but the logic of this process is that if the politics of spite is not distracting enough then maybe the politics of hate will be. In psychological terms they are reducing us to our basest instincts of survival and yet, according to Freud, the best guarantee for our long term well-being is the renunciation of those instincts and the civilization that ensues from that. 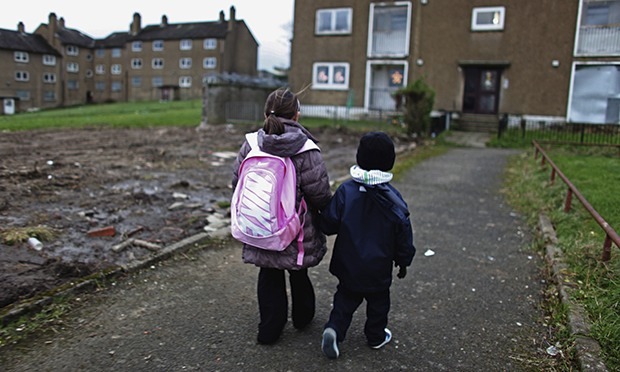 As Kropotkin argued–countering the fascistic turn to social Darwinism in his own times–it is mutual aid not naked self-preservation that has brought about the greatest growth in human society as well as the greatest periods of security, and such mutual aid is epitomised in our response to the foreigner and especially to the refugee. The refugee is a challenge to our insecurity. Openness to them requires a hospitality based on risk and trust at a time when such hospitality is repeatedly presented to us as a danger. And yet, most importantly, above the noise generated by our corporate media the refugees tell us they have faith that we are not like the beasts they are trying to escape. This is their gift to us, because while we regress they call out and tell us they believe in our civility. 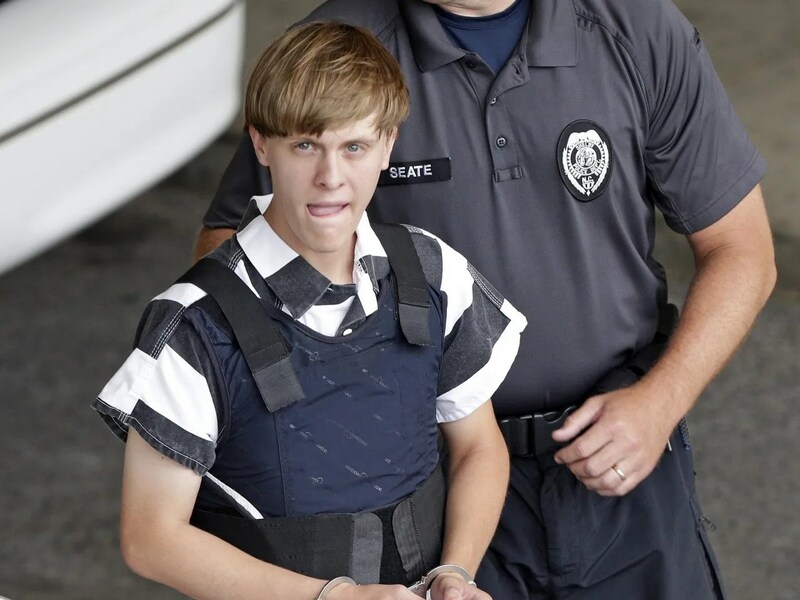 Consequently, and somewhat ironically, those presented as a threat are in fact our society’s greatest protection. P.S. Is this you? If so, your local fascio is looking to recruit.